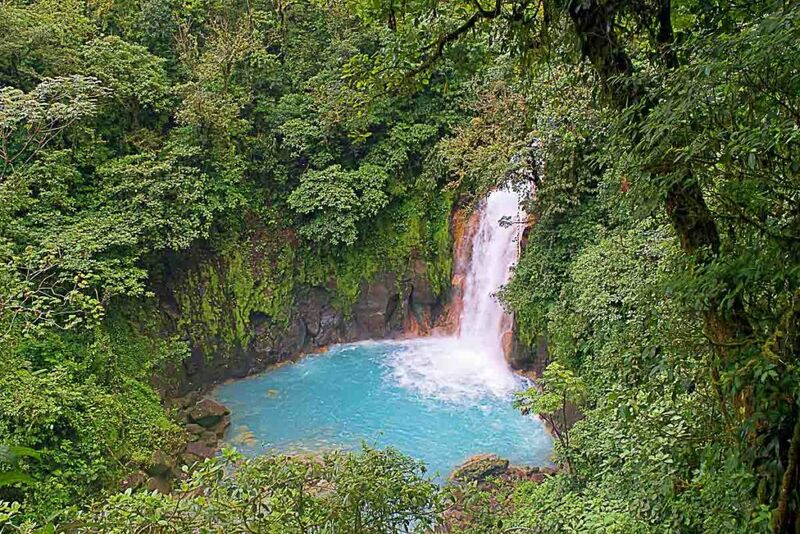 If you’re reading this, chances are you know some of the great adventures you can find in Costa Rica. 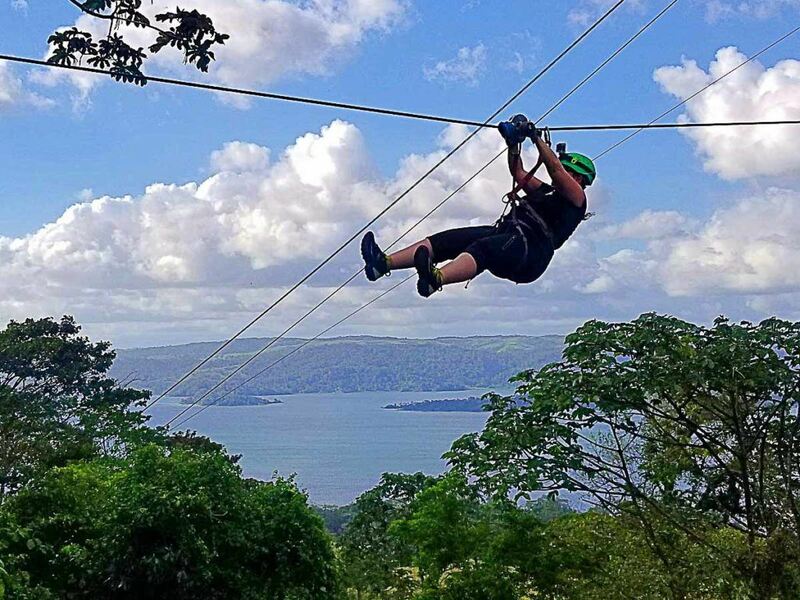 From high adrenaline zip lines soaring over the jungle canopy to white water rafting through the rainforest runoff to crawling through a secret world of limestone caverns. Costa Rica has it all! 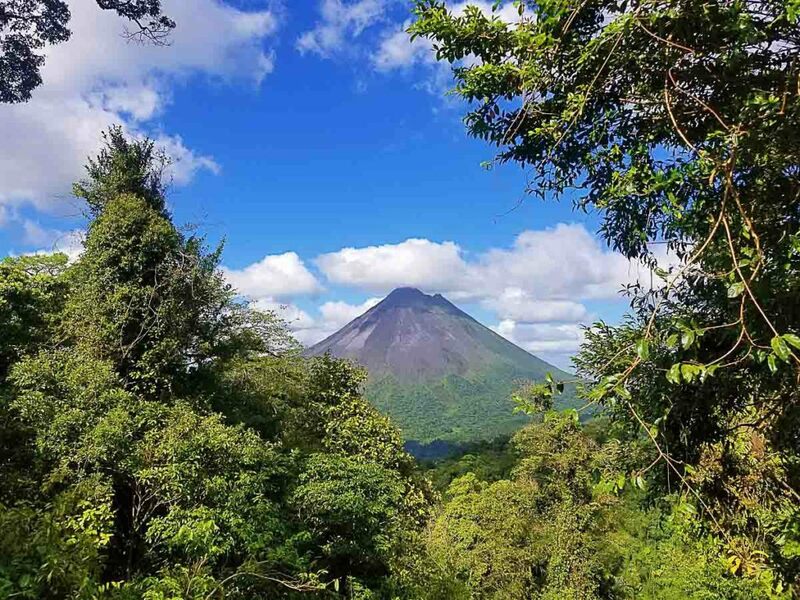 What’s more, Arenal has become a hub of eco-adventure because of its strategic location in the center of everything, its majestic volcano, and proximity to the San Jose Airport. The next question is, how expensive is it to travel to Arenal, Costa Rica? The cheapest US gateway to Costa Rica has to be Spirit Airlines direct flight from Ft Lauderdale with service starting at $172 round trip. Spirit puts together many discount two-hop trips through this Ft Lauderdale gateway that are easy on the wallet. Most major US hubs have direct flights to Costa Rica with prices ranging from $400-$600 dollars during the slow season. If you’re in So-Cal, you can find two hop flights from Tijuana that come in around $174. Flying through TJ isn’t as hard as it seems because you actually park in America and walk across a sky bridge directly into the Tijuana Airport. The flights from Canada and Europe aren’t bad either. Canada checks in at 328 bucks with a direct flight from Montreal. Flights from Europe start at just over 500. If you’re in Australia or New Zealand, expect to pay over $1500. You would need to really want to travel to Costa Rica from Sri Lanka, there’s a one-stop flight, but it costs over $11,000. 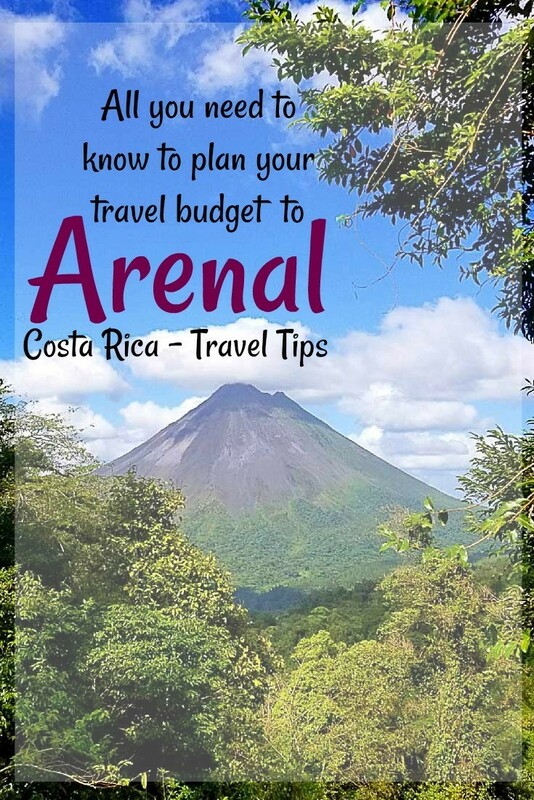 Once you arrive in Costa Rica, you need to get to Arenal. The airport is in a town outside of San Jose called Alajuela. The main gateway to Arenal Volcano is the town of La Fortuna. Google Maps shows it’s 114 km between these two towns, but there is often traffic, and lots of mountain turns so it could easily take 3 hours or more to make this drive and a lot of focus on the road if you rent a car. Car rental in Costa Rica has notorious up charges. The internet is filled with stores of how a $50/week rental turned into a $700 rental with all of the mandatory add-ons. There is a mandatory insurance policy, with many agencies not accepting insurance provided through charge cards. Additional charges include automatic transmission costs, plate fees, booking fees, and the Airport Concourse fee. The list goes on from here, so make sure you double check rates plus all of the extras from any deal you see offered. We found renting cars in Costa Rica cost about $100/day. There are some hacks and tips for renting your own car. If you stay overnight in Alajuela, you can get a car the next day without paying an airport fee. You can get to some attractions without booking tours and switch up cities. For the brave of heart and light of wallets, buses to La Fortuna cost about $30. A good mid-cost option is a shared ride van that runs about $100 for the trip. If you are planning to start your trip in Arenal and then drive around the country, don’t forget to read our post about Driving and Camping in Costa Rica. There you will find tips and advice about travel planning, driving, costs, and itinerary. La Fortuna has rooms ranging from $5/night at the Chill Out Backpackers to the $400/night Nayara Resort and Spa. Some accommodation options in La Fortuna really stick out. For about $50 a night, you can get a room in the town of La Fortuna that ranks highly. This will give you excellent access to dining, adventures, shopping. If you’re staying in town, you will definitely not need a car for the trip. For not much more, you can stay in an eco-lodge in the jungle. You will experience what it’s really like in the rainforest, and many places have night hikes and waterfalls on property. 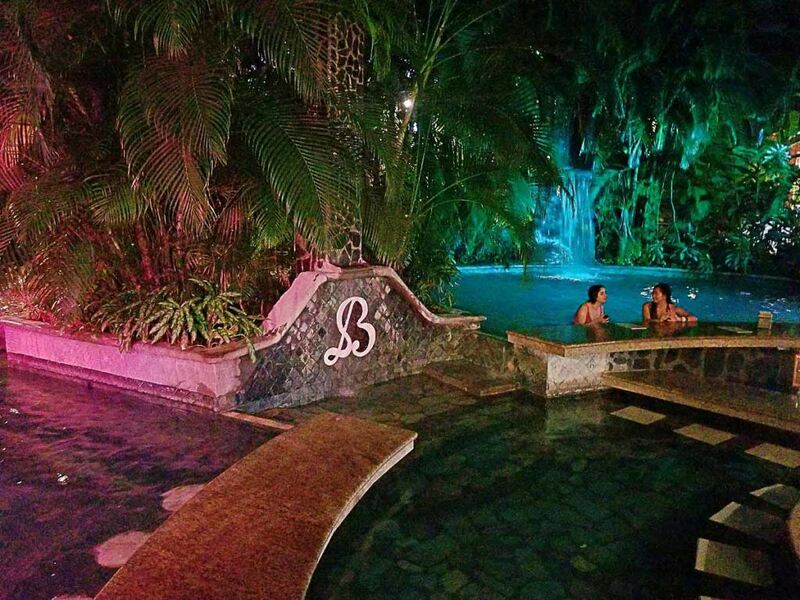 For a $100-200, more or less, you stay in a hotel with hot springs. This might be a great option if you know that you want to soak during your stay. If you’re staying outside of town, you will need to run some extra numbers to see how much it will really cost. One year, we stayed in an upscale hotel as part of a package tour. Without a car, we ate at the hotel’s restaurant more often than not, which added a little to the cost. This year, we stayed at an eco-lodge that taxis couldn’t reach when it rained, so it would have required an SUV to reach. Taxis are fairly cheap, around $5-10 each way, and a lot of tour companies will pick you up at your accommodations but having a rental car in these situations would be nice. Tourism is well established in Costa Rica. Some people use this security to seek out free/low-cost activities like natural hot springs, hiking to the La Fortuna Waterfall ($15), or enjoying the ambiance of the central plaza. There are also a series of world-class adventures around Arenal that justify the cost of your plane ticket. Prices range from a $65 SUP or kayak tour of Lake Arenal on the low end to $129 extreme canyoneering and waterfall trip on the high end. There many things to do in Arenal, Costa Rica. 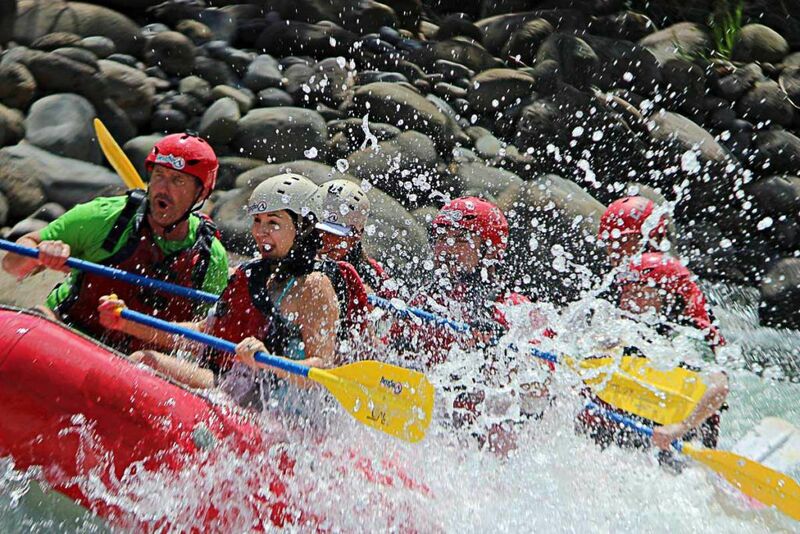 Midrange adventures include mountain biking, canyoneering, whitewater rafting and more. For the less adventurous, there is volcano hiking ($59), soaking in hot springs ($50-$100), night hikes in the rainforest ($26), and much more. Before the trip, check the best-rated tours in Arenal on Tripadvisor, you don’t need to book everything in advance, but this will give you a better understanding of prices and tours. Book discount airlines. That Spirit flight out of Ft Lauderdale can’t be beaten for the price. There are some low prices flights from Mexico too, often with a connector in Tijuana or LA. Package Adventures with Transportation. For a small premium on top of the tour, adventure companies will pick you up or drop you off at the airport. Package tours together. Many tour companies can put 2-3 adventures together into a single day. This lets them save on logistics, and they pass that savings on to you and then some. Book tours in town. When you have boots on the ground, you can find great deals in person. This is especially true if you are willing to jump into the extra seats of a trip that is already booked. Take a group trip. We took a group trip to Costa Rica that saved over 50% by clever shopping and looking for group discounts. Go during the rainy season. From May to mid-November, it’s considered the rainy season in Costa Rica. Fewer people go, which means extra rooms and extra seats on the tours. You can save a lot of money if you are willing to get wet. Don’t forget to book your travel insurance in advance. Is always good to be protected, especially when you traveling to Arenal for an incredible adventure. Book your Travel Insurance with World Nomads here! They have some of the best coverages and prices. Costa Rica isn’t the budget backpacking destination it was 30 years ago, but it isn’t like staying a night in New York or Paris. Reputable companies with exceptional safety records and current insurance afford fair prices on adventure tours. Airfare prices from North America and hotels are really reasonable, especially if you like nature. You will eat a lot of rice and beans, but they are darn good beans. Transportation can be a little tricky, but there are good solutions for that as well. 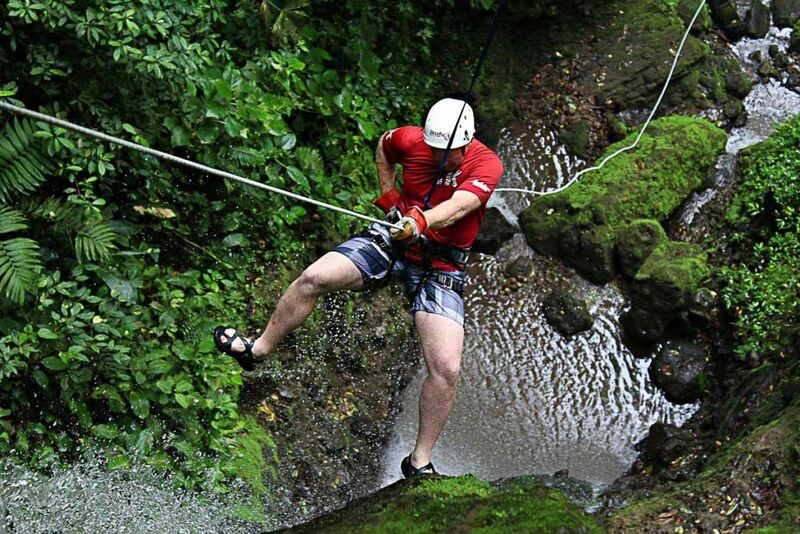 If you want a fair priced adventure destination, La Fortuna Costa Rica might be just the thing for you. 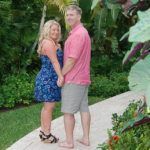 You can check their blog Coleman Concierge and follow their adventure on Facebook and Instagram.